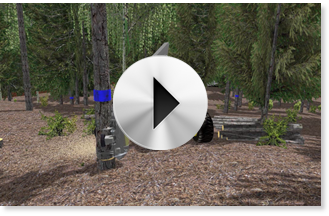 VEROSIM Solutions offers you solutions for environment simulation. We focus on modern methods for forest inventory by combining remote sensing with novel on-site acquisition methods. The results are digital forests which are managed using highly efficient methods of information technology. The harvester fells, disbranches, and saws tree trunks. 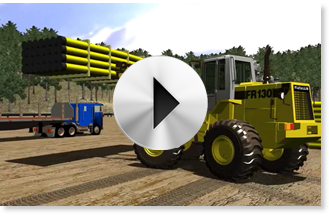 The combination of 3D simulation with original control elements of the real harvester enables simulators which allow for efficient training without harm for man, machine, and environment. 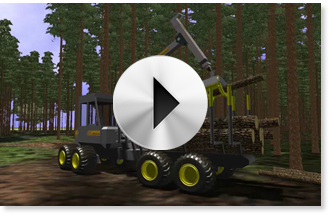 For the forwarder, simulation considers all details that interact with the virtual forest environment and thus influence the behavior of the work machine. More precisely, everything from the damping of the spring legs to the swinging of the arm is simulated.